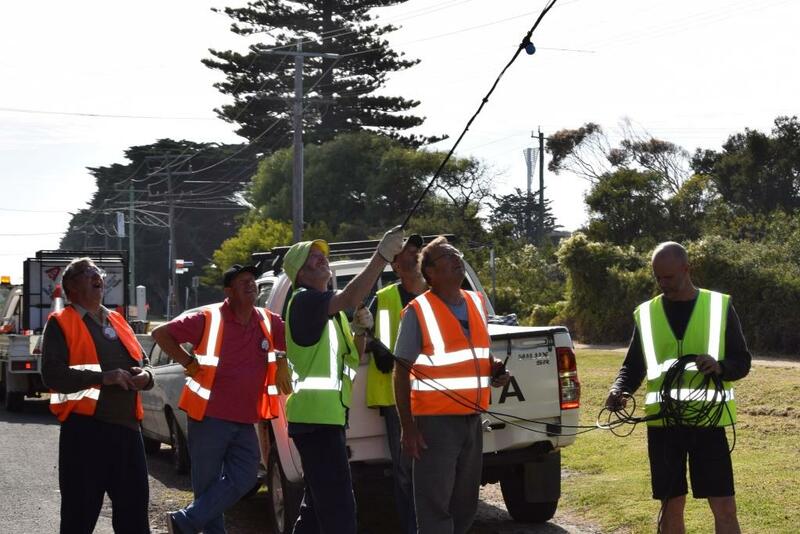 The Tree Crew of Rotarians, Lions and community members have again worked to haul the lights up the Point Lonsdale Christmas Tree ready for the community celebration of Christmas on Saturday December 1. See you there! 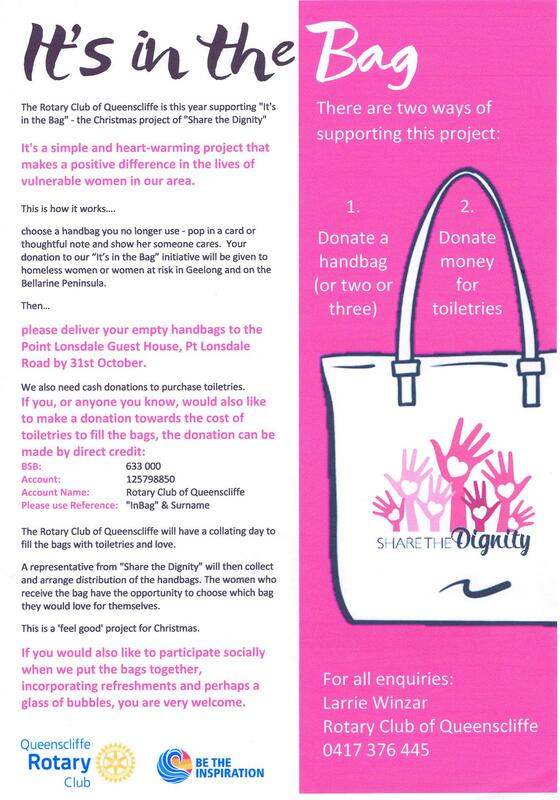 This year we're supporting "It's in the Bag", a project of Share the Dignity. 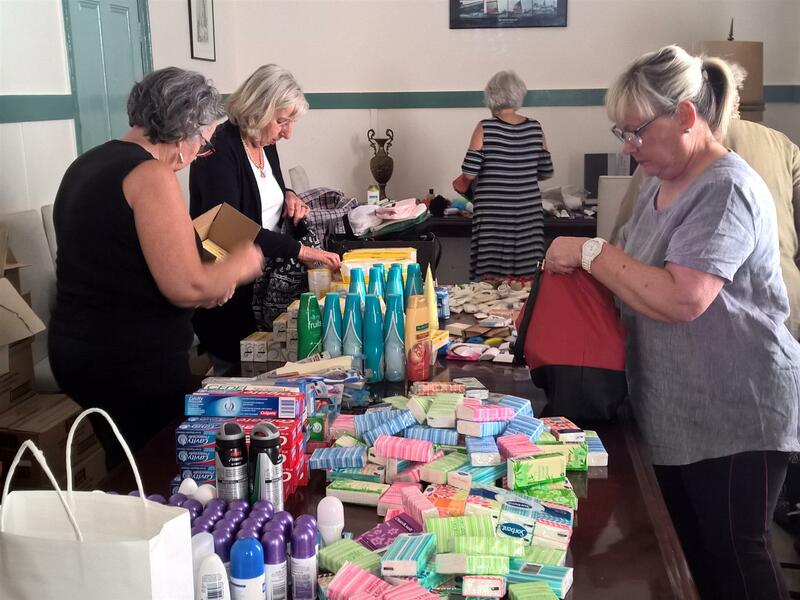 We will fill donated handbags with toiletries and sanitary items and this Christmas Share the Dignity will distribute them to women who need them in Geelong and the Bellarine. 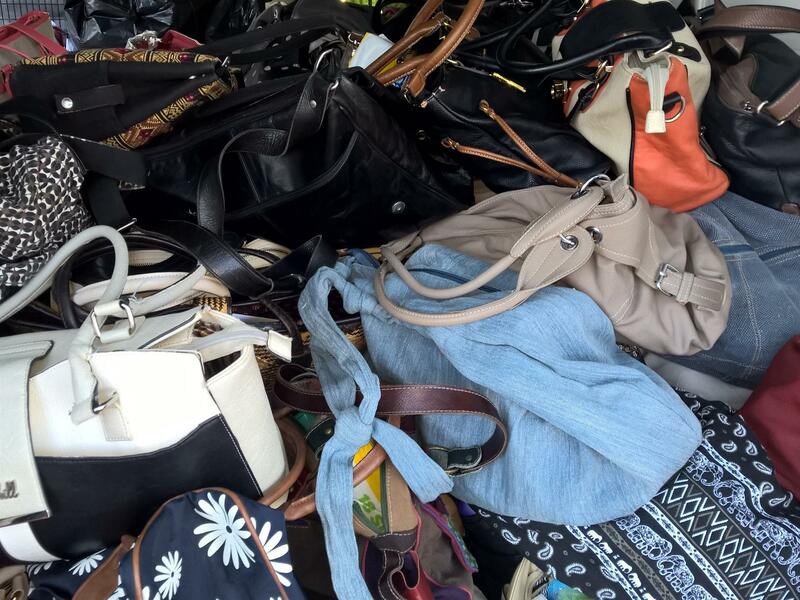 We're looking for donations of used but usable handbags as well as donations for the purchase of toiletries. 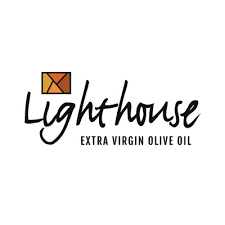 Our essay competition is now in its 12th year and is open to students from our three local primary schools – Point Lonsdale, Queenscliff and St Aloysius. This year students were asked to write about an endangered indigenous species of their choice and explain why it should be saved. The winner was Michael Ahearn with runner up Lucy Summerfield. 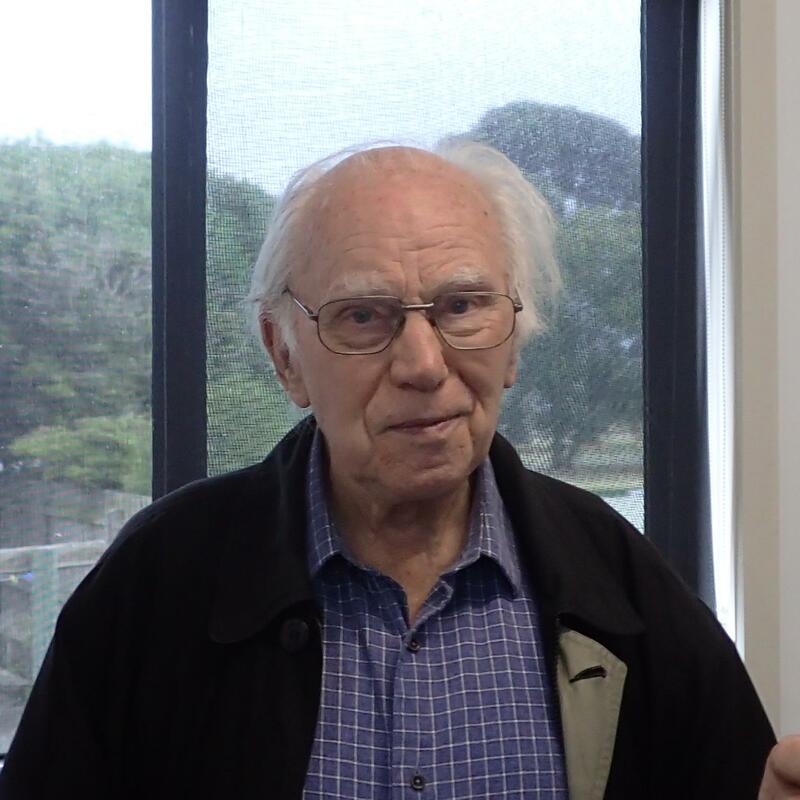 Charlie Wayth received an encouragement award. Many thanks to Marie Reed for volunteering her time as adjudicator. Increasing physical activity should be a priority area for governments, healthcare providers and community organisations. We've applied for State Government 'Pick my Project' funding to install outdoor fitness equipment stations in Point Lonsdale and Queenscliff for the benefit of our community. The outdoor gym equipment stations will focus on cardio, strength, mobility and coordination/balance and will be beneficial for everyone from teens to seniors. Outdoor exercise is also positive for mental health.Outdoor gyms are open 24/7, are free to use, inclusive and accessible. Voting closes on Monday 17 September. Outdoor gym equipment is a go! Woohoo! 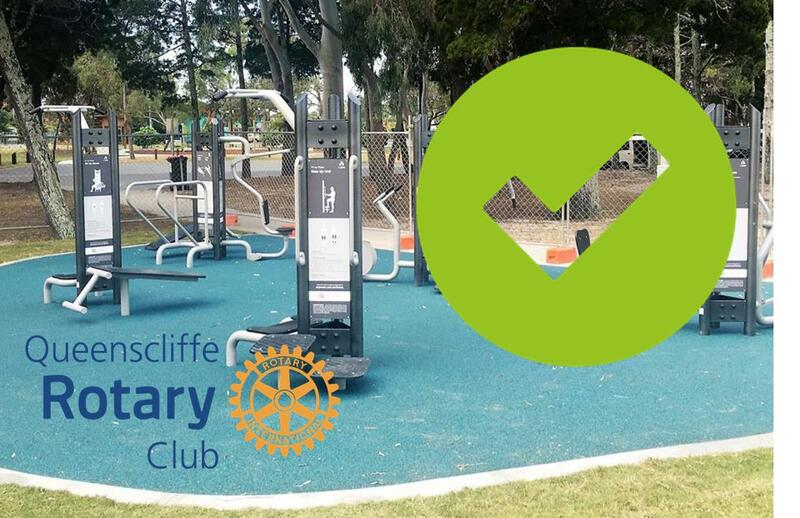 We've been successful in our application for Pick My Project funding for outdoor fitness equipment stations in Point Lonsdale and Queenscliff. The project aims to address the health and obesity issues in our community by encouraging outdoor exercise. The outdoor gym equipment stations will focus on cardio, strength, mobility and coordination/balance and will be beneficial for everyone from teens to seniors. Outdoor exercise is also positive for mental health.Outdoor gyms are open 24/7, are free to use, inclusive and accessible. Thanks to everyone who voted for our project. 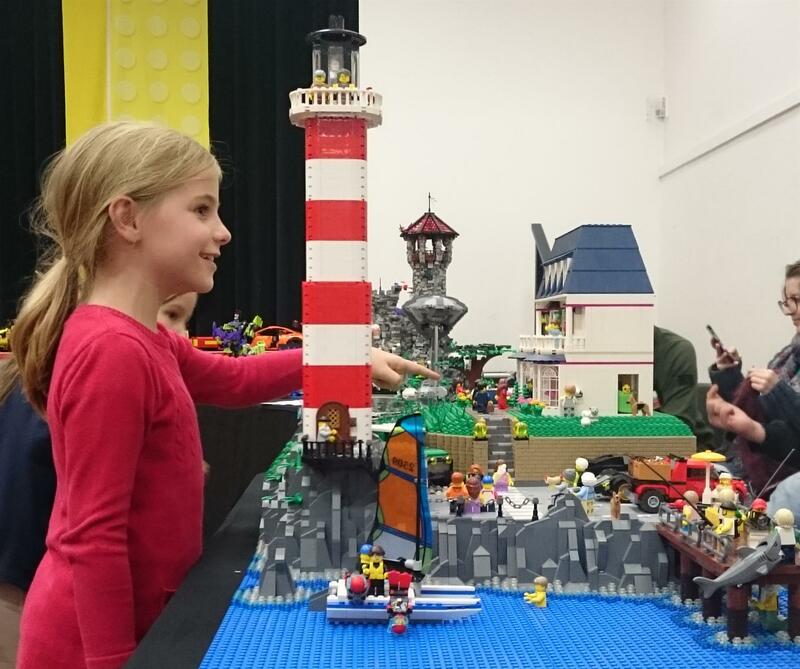 Over 2000 Lego enthusiasts enjoyed the exhibits, Dizzy Toys play zone and masterclasses at Queenscliffe Bricks this June long weekend, raising over $12 000 for Rotary projects. 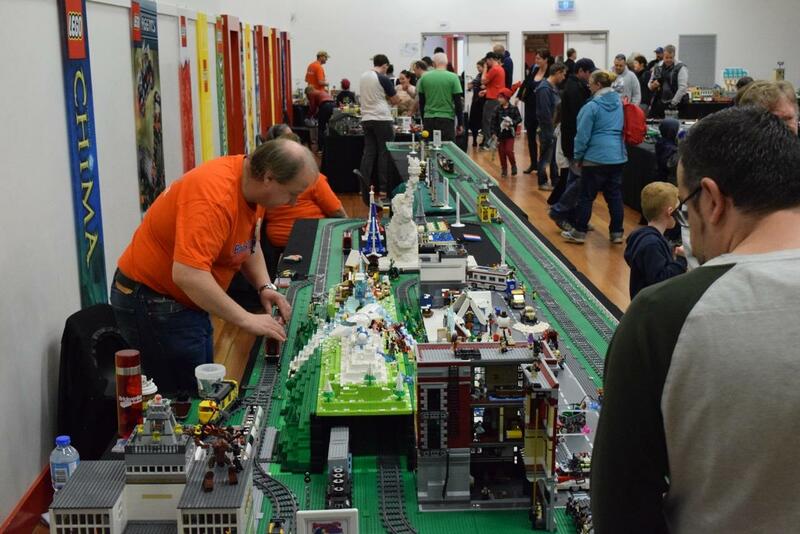 Over 50 exhibitors organised by the Melbourne Lego User Group displayed exhibits ranging from artworks and trains to pirates and princesses and everything inbetween. LEGO guru Travis Matheson worked his LEGO magic in the Masterclasses and revealed the secrets of “brickbending” – the art of making straight bricks into curved shapes. In 20 minutes the young LEGO initiates managed to build a huge circle out of LEGO that fit 40 adults and children inside. 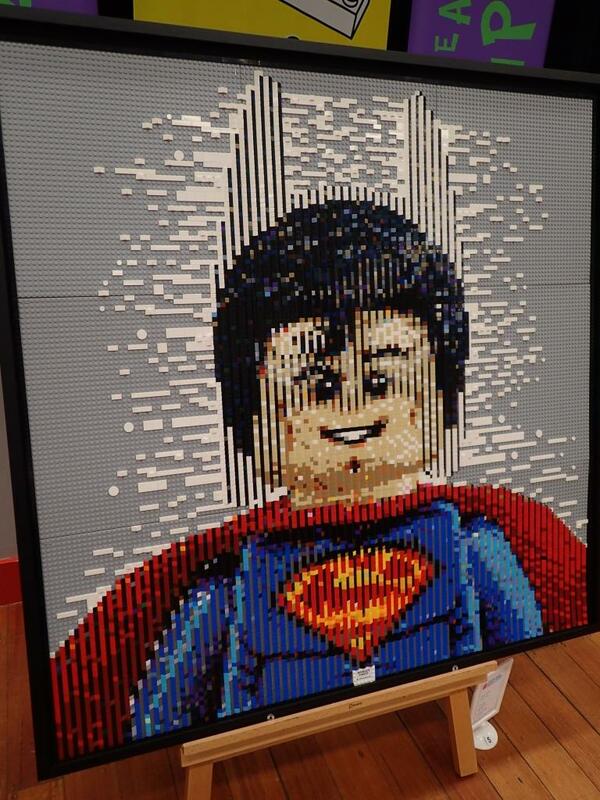 Kale Frost took out the People’s Choice Award for his build “World’s Finest” – a huge multi dimensional mosaic which looked like Superman from one angle and Batman from another. Residents of Geelong and the Bellarine might have recognised Lathamstowe Queenscliffe (however, the carnivorous man-eating plant in the garden might have been a surprise), or the Geelong CFA and Ambulance stations amongst the exhibits. Thanks to all the exhibitors and wonderful volunteers who made Queenscliffe Bricks such a success. 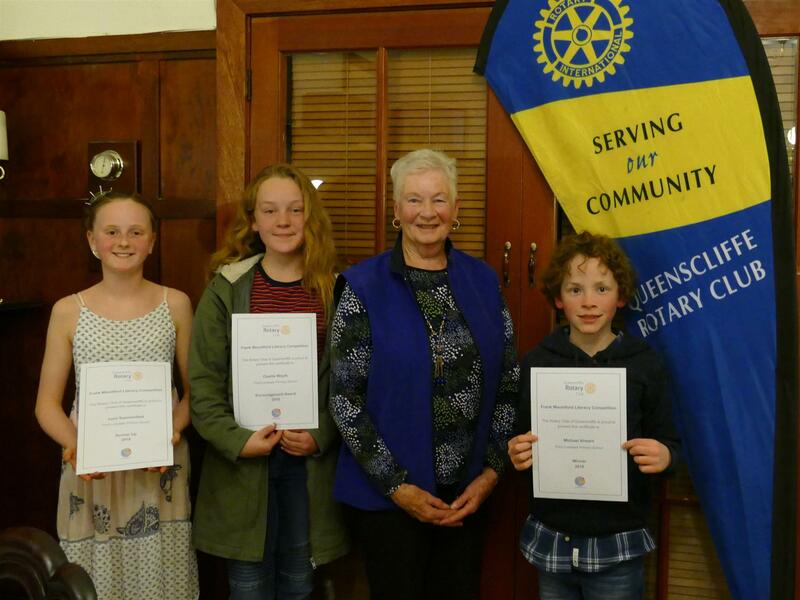 Two unsuspecting members recently received recognition from District Governor Ray Herbert. 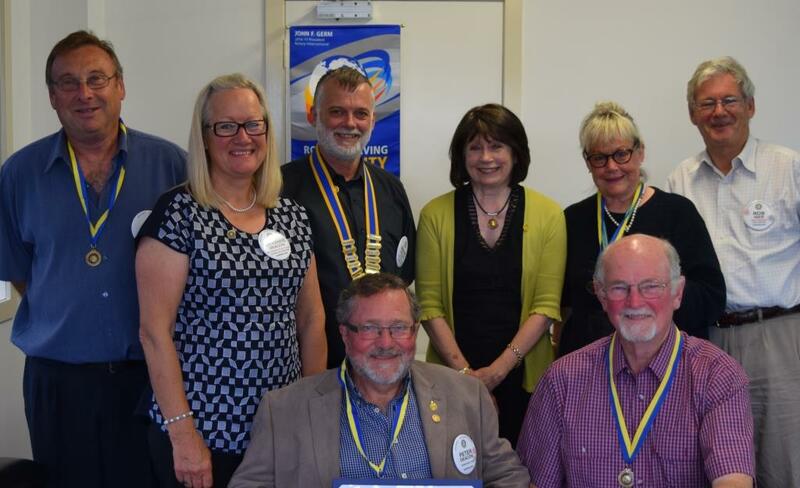 Wayne Pecar's enthusiasm and commitment to the ideals of Rotary was recognised with a Royce Abbey Award and Karen Pecar was recognised as a Paul Harris Fellow for her contributions to our club. 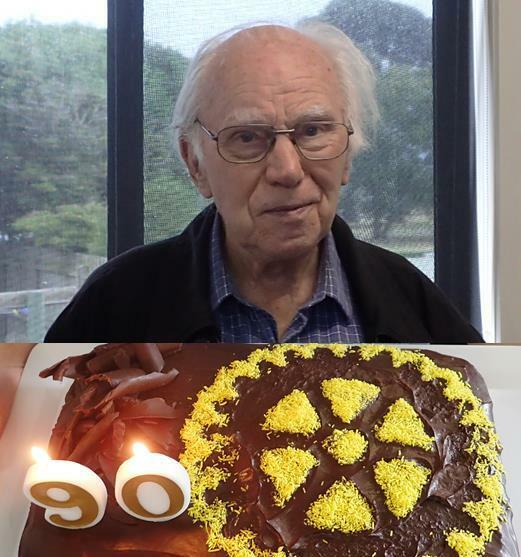 Royce Abbey was a former Australian president of Rotary International. 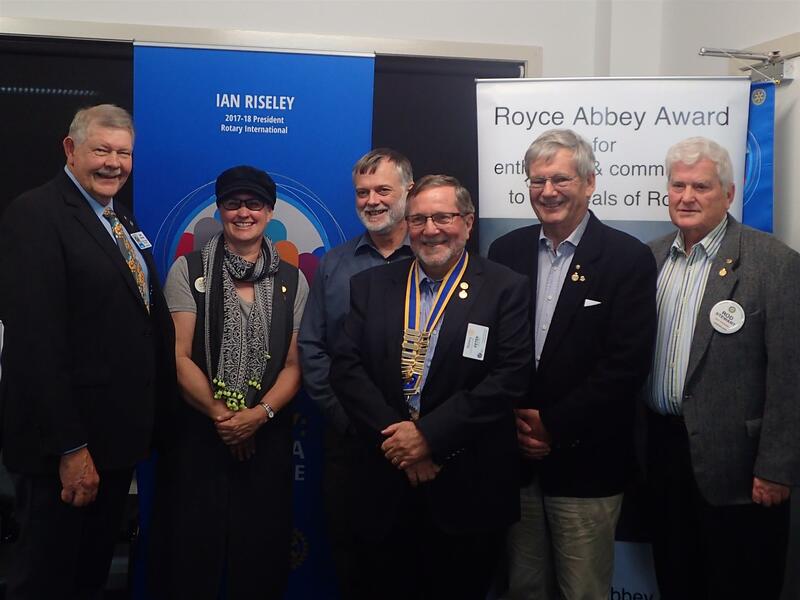 The Royce Abbey Award is available to Rotary Clubs wishing to recognise Rotarians who show enthusiasm and commitment to the ideals of Rotary. Clubs contribute $1000 to the Royce and Jean Abbey Endowed Fund and income from the Fund is used to finance agricultural and related scholarships for applicants from less-developed countries in the Asia-Pacific region. The 5 members of our club who have received the Royce Abbey Award are pictured with District Governor Ray Herbert. Paul Harris was one of the founders of Rotary. 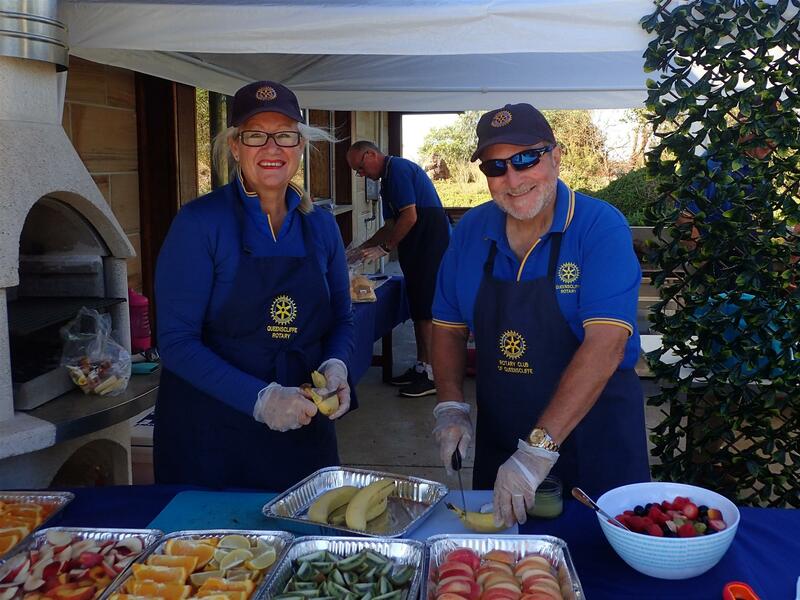 Clubs often donate $1000 to the Rotary Foundation to honour and recognise a member's achievements and dedication to Rotary. That member is then recognised as a Paul Harris Fellow. 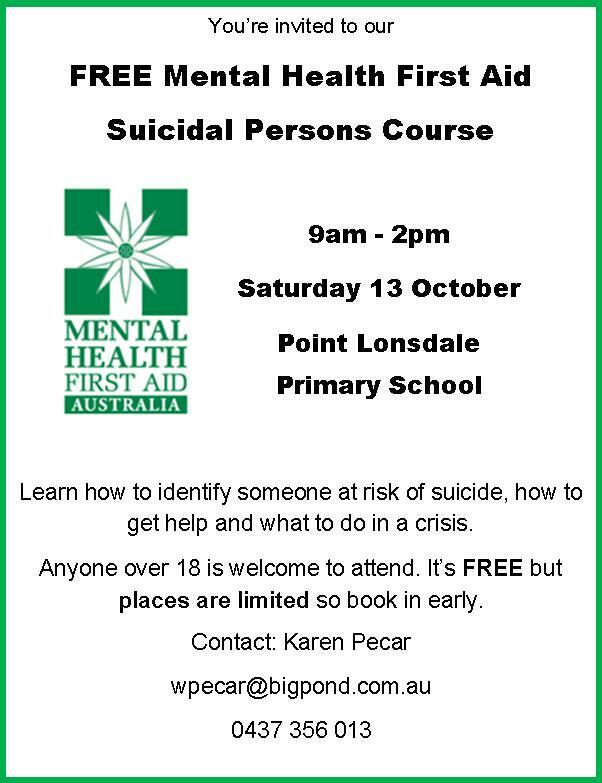 Our club, along with Drysdale and Ocean Grove Rotary clubs, has combined to sponsor a Youth Mental Health First Aid Course. 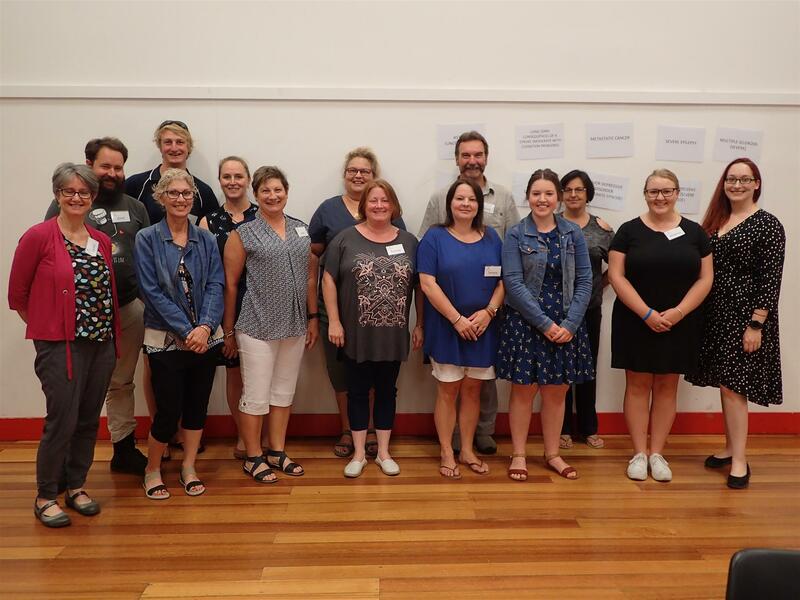 The course was facilitated by Sylvia Gray from Hero Town Geelong and is aimed at those who live and work with youth and teaches the skills required to identify and address mental health problems in young people, when and how to get help and what to do in a crisis. 15 community members attended from local schools, Neighbourhood House, sporting groups, SES, CFA, Cottage by the Sea & Rotary and all agreed that the content was informative, empowering and very well presented. Wedding breakfasts now our speciality?! 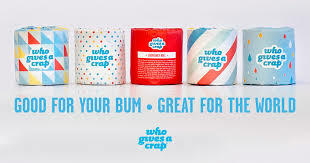 This might be our next fundraising project. The team did a wonderful job catering for over 110 guests at a wedding breakfast. The fruit and egg and bacon rolls were delicious and some guests came back for thirds! Henry Hudson - 90 Amazing Years! Congratulations Henry Hudson on 90 amazing years! 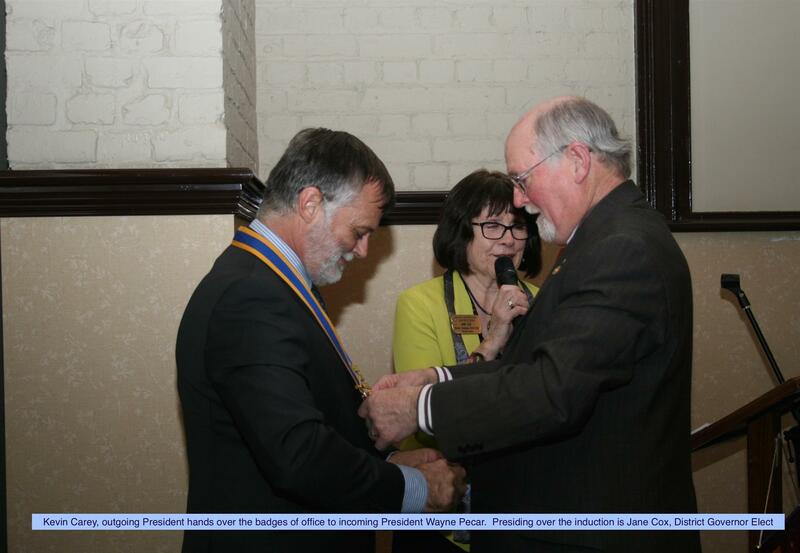 Henry has made a distinguished contribution to Rotary over the past 35 years including as a charter member and president of our club and as a district governor. 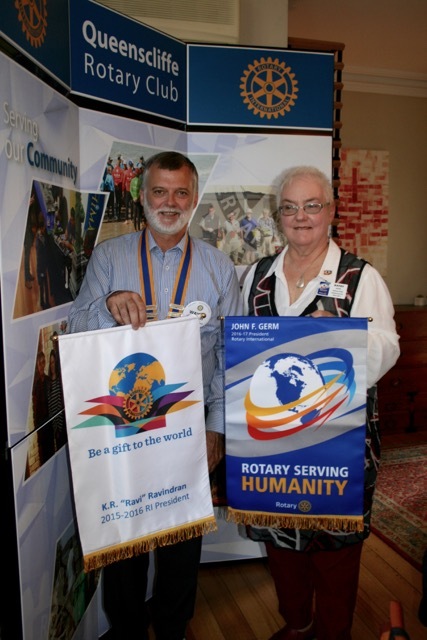 Henry has received many awards both within and outside Rotary for his contribution to the community. The club celebrated Henry's birthday with cake and afternoon tea. Thanks Jenny for organising a lovely afternoon. 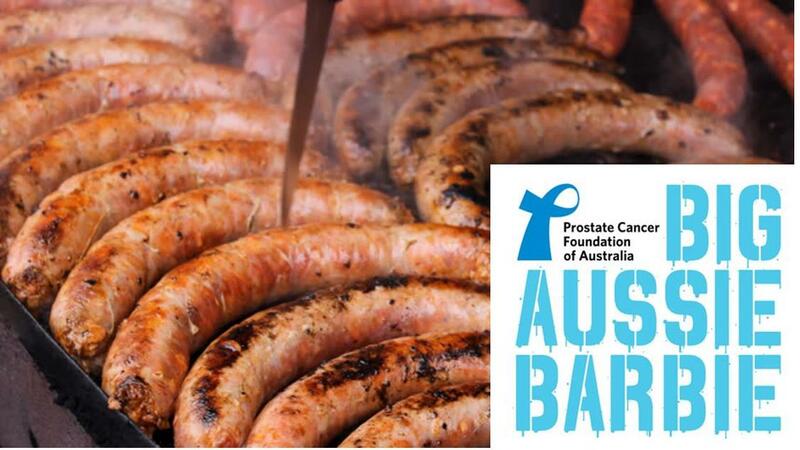 Club members have been busy so far this year with the usual Point Lonsdale Market BBQ, volunteering at Australia Day activities, Queenscliff 180 Family Swim BBQ, meeting at Liz and Rob Iser's, member Henry Hudson's 90th birthday party and taking the lights off the Point Lonsdale Christmas Tree. Thanks Rotarians, families and friends for helping out. 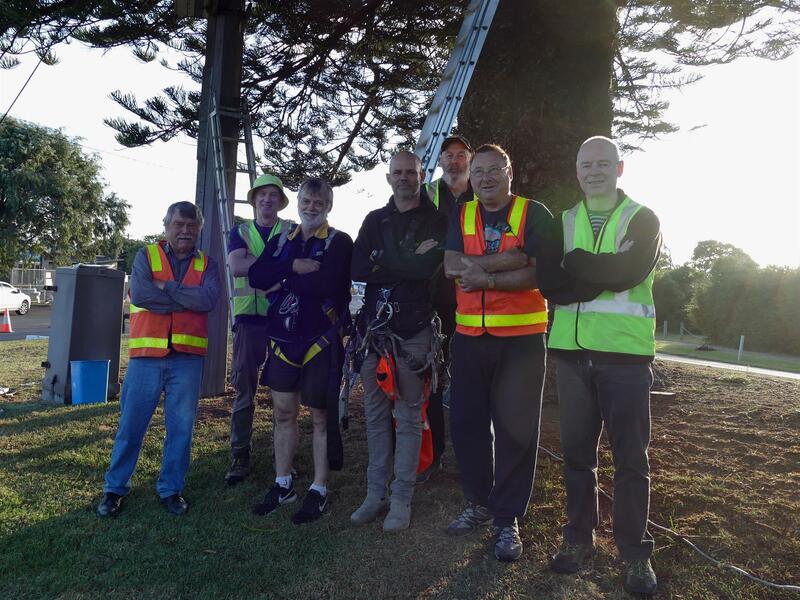 Rotarians, Lions and community members have again worked to haul the lights up the Point Lonsdale Christmas Tree after club members Alan and Wayne put in over 70 hours repairing damage to the lights caused by corellas in February. Light up night and the community celebration of Christmas is on Saturday December 2. See you there! R enovations of the rotunda at Queenscliffe Harbour are now complete. The rotunda has been repainted and fitted out with seating and information panels, providing a service to visitors to Point Lonsdale and Queenscliff arriving on the ferry or visiting the Harbour. Thanks to the Rotary Club of Ocean Grove which originally constructed the rotunda many years ago, and to the Borough of Queenscliffe for supporting the renovation with a community grant, installation of the seats and resources for the panel design. 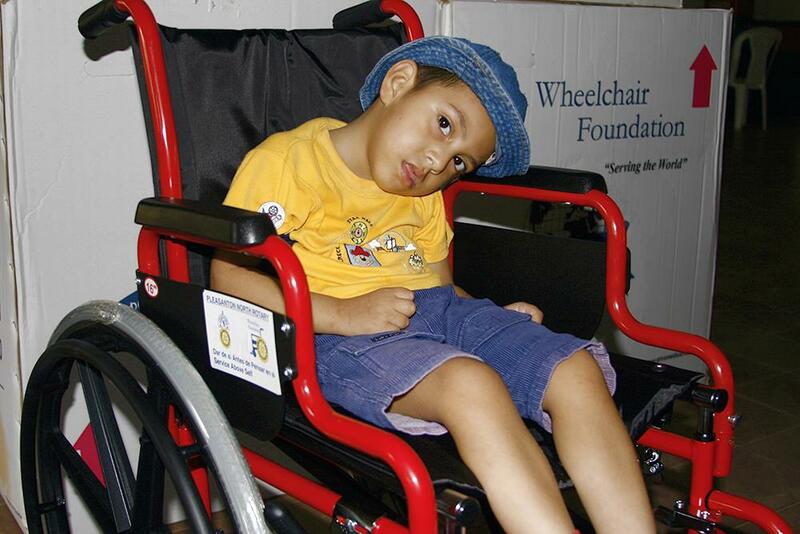 Wheelchair Foundation’s goal is to provide a free wheelchair to every person in the world who needs one but who can’t afford to buy one. Wheelchair Foundation has delivered wheelchairs to and improved the lives of over 1,050,000 people in more than 157 countries since 2001. A wheelchair brings freedom, independence and hope. Each year Diversitat provides intensive settlement support for 200 – 300 refugees from countries which include Afghanistan, Iran, Iraq, Liberia, South Sudan, Sri Lanka and Myanmar. Sometimes refugees need assistance that is not covered by government funding and Diversitat relies on community donations for this work. 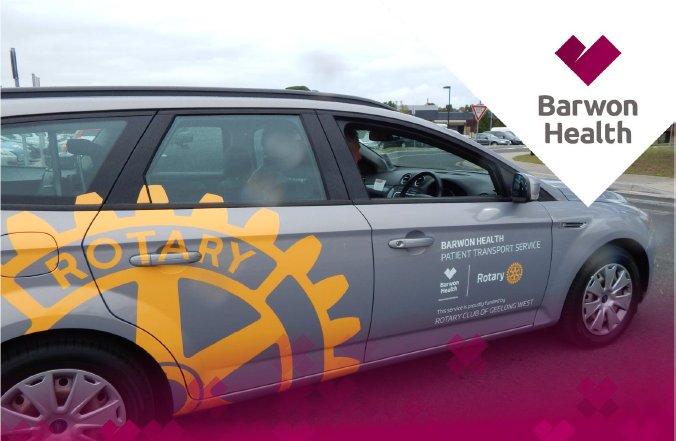 Queenscliffe joins many other Rotary clubs in the South Barwon region in supporting Barwon Health’s Volunteer Services Patient Transport Program. The Patient Transport Service provides free transportation for patients who do not otherwise have access to safe and reliable transport and completes over 15 000 trips per year. Look out for the vehicles with the big yellow Rotary logo. 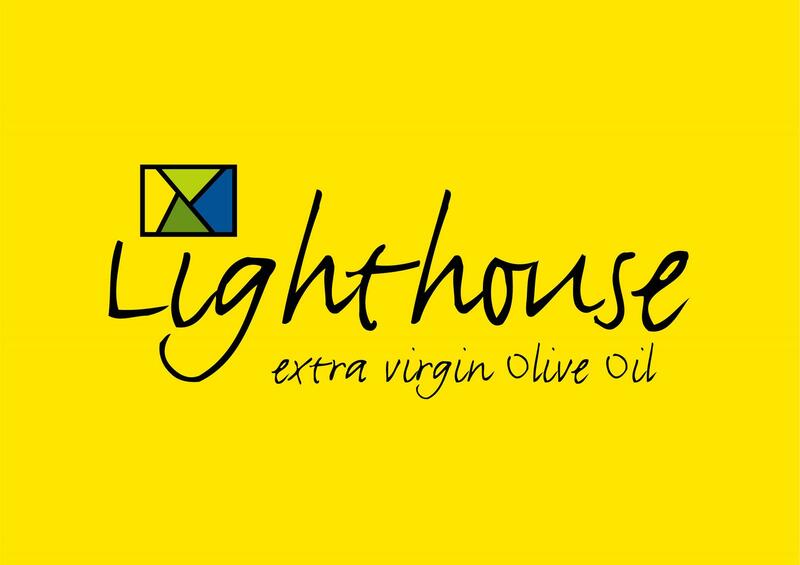 Our essay competition is now in its 11th year and is open to students from our three local primary schools – Point Lonsdale, Queenscliff and St Aloysius. This year the club received 32 responses to the theme "City or country?" The winner was Lucy Cooper with runner up Leo Howard. Jack Connell and Tessa Herbert received encouragement awards. Lucy's mum Jenny commented "What a wonderful opportunity for our local young writers ... 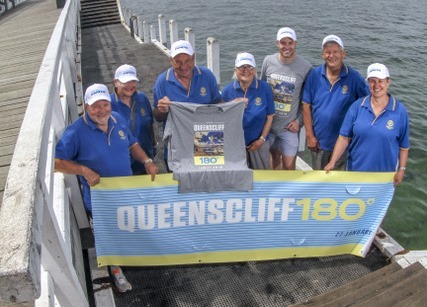 Thank you so much to the Queenscliff Rotary Club ... 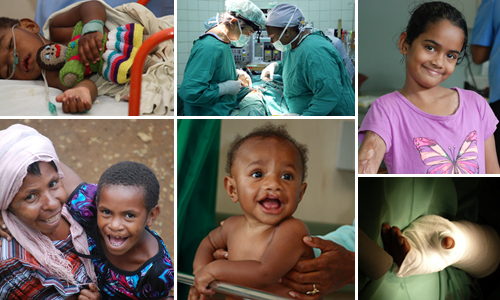 I love your motto; 'Rotary: Making A Difference'. It has certainly helped give my daughter confidence and the self esteem to 'believe' in herself." 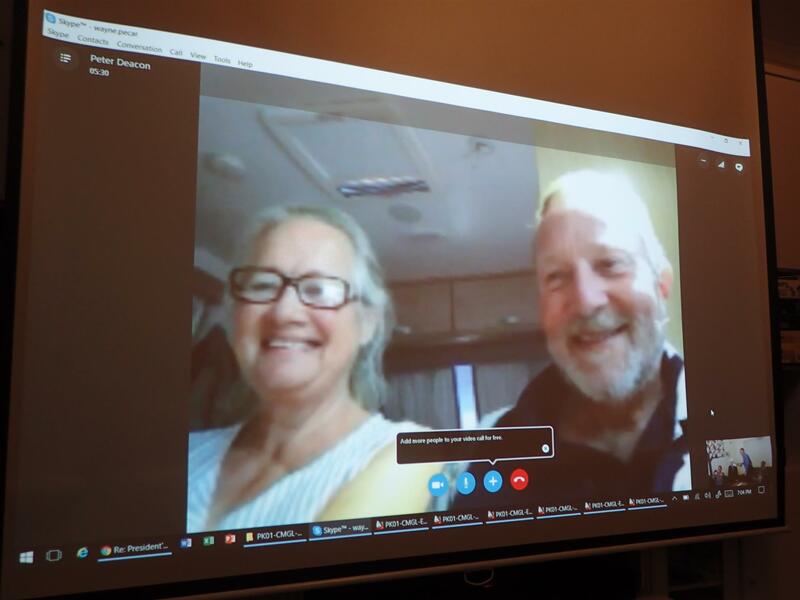 In a club first new president Peter Deacon was inducted via Skype from his caravan in Broome. Peter's proxy accepted his president's pin and collar and posed for photos. Congratulations Peter and enjoy your trip Peter and Marianne! 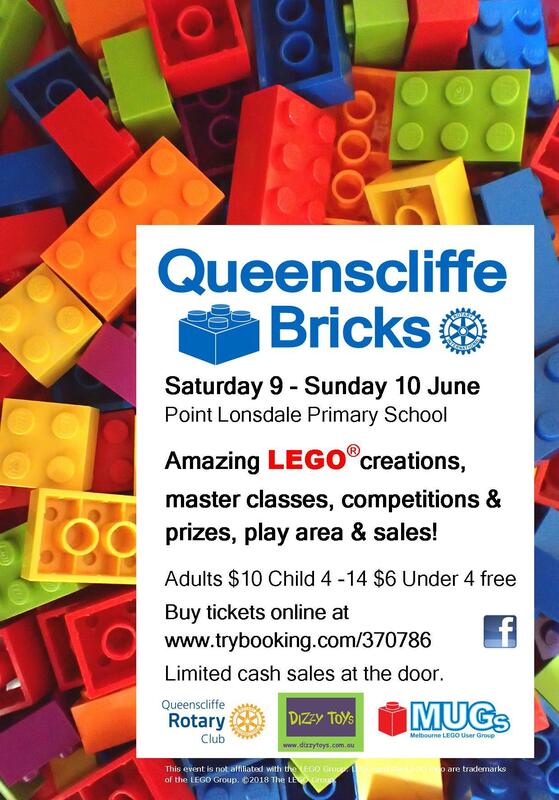 Queenscliffe Bricks is over for another year! 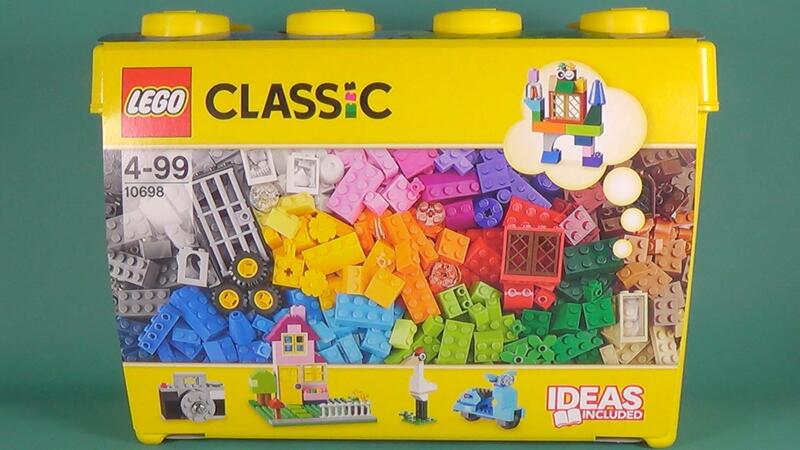 It was a wonderful friendly family event shared by 1800 LEGO enthusiasts of all ages. Megan Blair posted on Facebook: "My children and I attended this morning and had a great time wandering around and chatting to the many wonderfully friendly exhibitors. 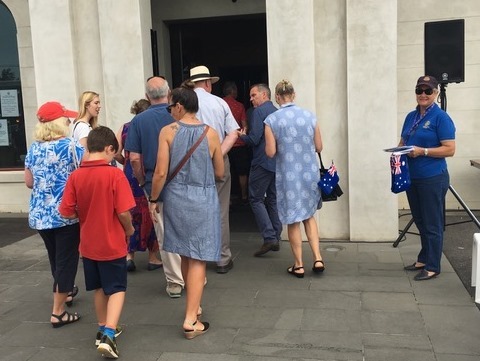 We all felt really welcome and engaged and have been talking about the many fantastic builds we saw... Thankyou to all of the organisers and exhibitors for putting on another great show." The play area saw some very innovative creations and some young LEGO masters had fun in our masterclasses on "LEGO Microscale Creations" - Google it - fantastic stuff. Exhibitors organised by Melbourne Lego User Group (MUGs), Dizzy Toys/Ocean Grove Super Toys for the play zone, Rotarians, community volunteers, Queenscliff Kindergarten for the LEGO themed cake stall, Lions Club for the BBQ and our sponsors Searoad Ferries, Campbell Potts Real Estate, Lighthouse Olive Oil, Point Lonsdale IGA and BIG4 Beacon Resort. Phoebe (1st) Holly (2cnd) and Della (3rd) - winners of the LEGO Raffle. 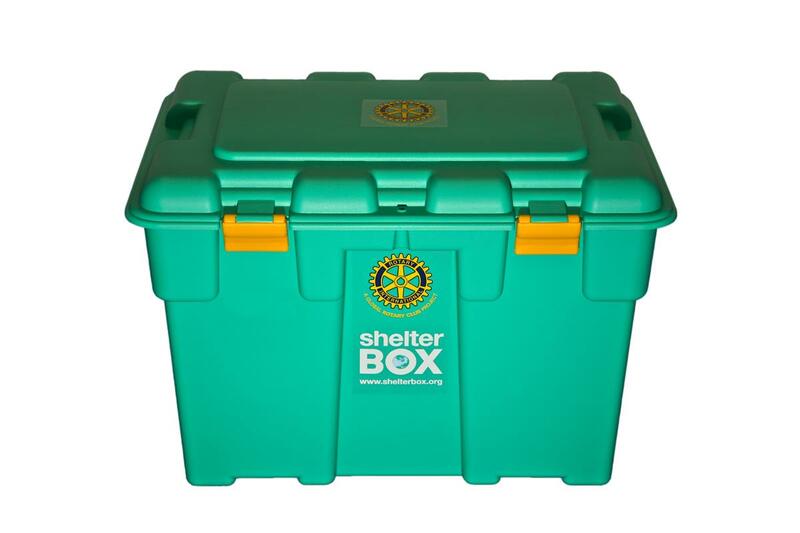 Follow our latest Shelterbox. Go to the Shelterbox website's tracking page http://www.shelterboxaustralia.com.au/trackbox.php, set Australia as the country and enter our number 15182. 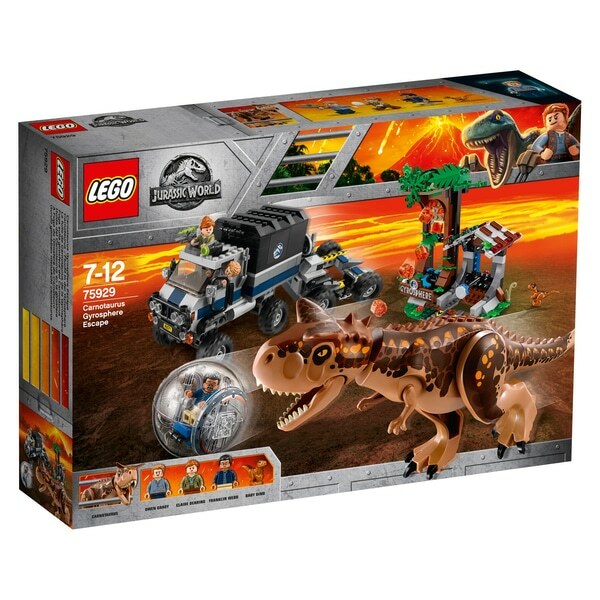 At the moment it's still in the warehouse. Depending on the location and nature of the disaster the contents of the box may vary but each box typically contains a disaster relief tent big enough to house a family, a range of survival equipment which might include a water purification system, tools, thermal blankets or mosquito nets and a children’s pack containing drawing books, crayons and pens. 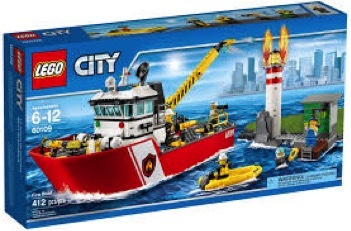 Our club supplied Coastguard with Ballarat South Rotary Club raffle tickets to sell as a fundraiser and Coastguard sold the winning ticket, earning them a bonus $1000 to put towards the running costs of their newly refurbished boat! On February 16th 149 year 12 students from Bellarine Secondary College and Geelong Lutheran College experienced RYDA at Beckley Park Corio. 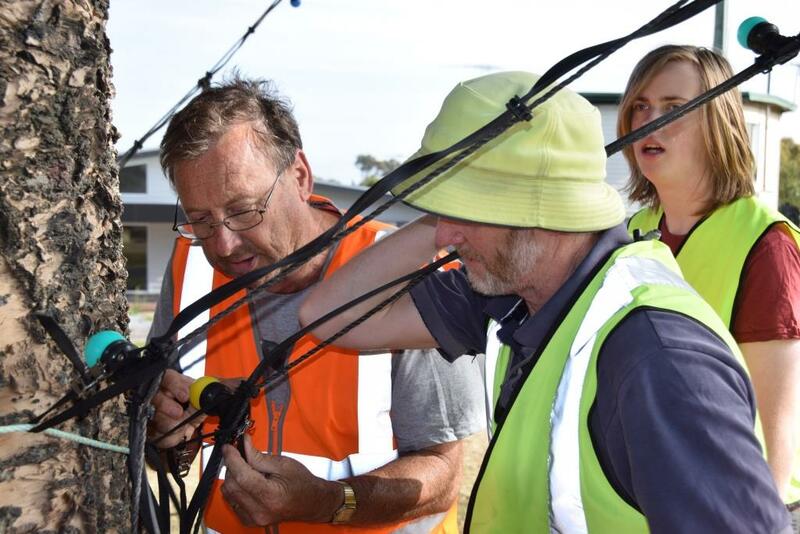 RYDA (Rotary Youth Driver Awareness) is a whole day school excursion that provides Year 11 and 12 students with the knowledge, skills and attitudes that will contribute to their safe and responsible behaviour as drivers and passengers. 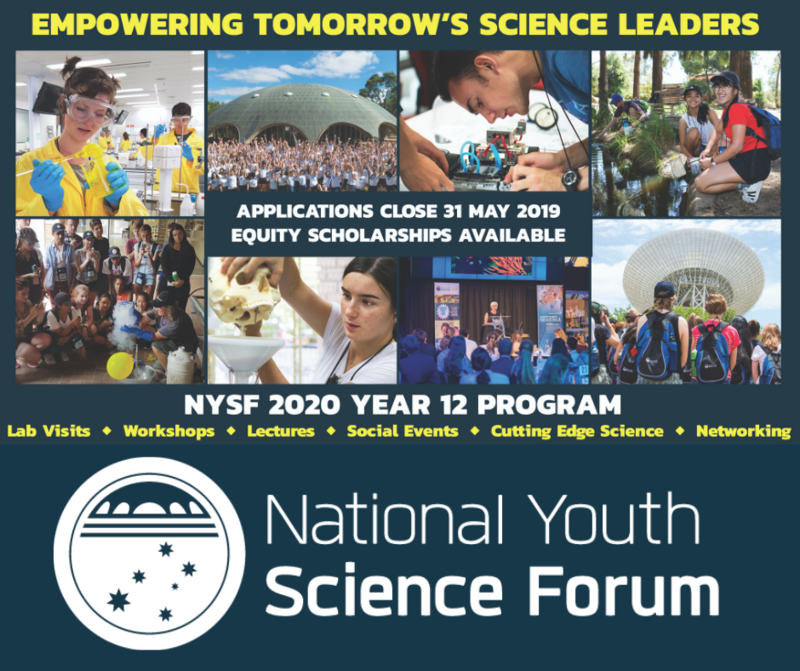 Over 500,000 students across Australia and New Zealand have now attended this outstanding program. Members Wayne & Karen Pecar are on the RYDA Geelong organising committee and Rod Stewart is a volunteer facilitator. Well done all! 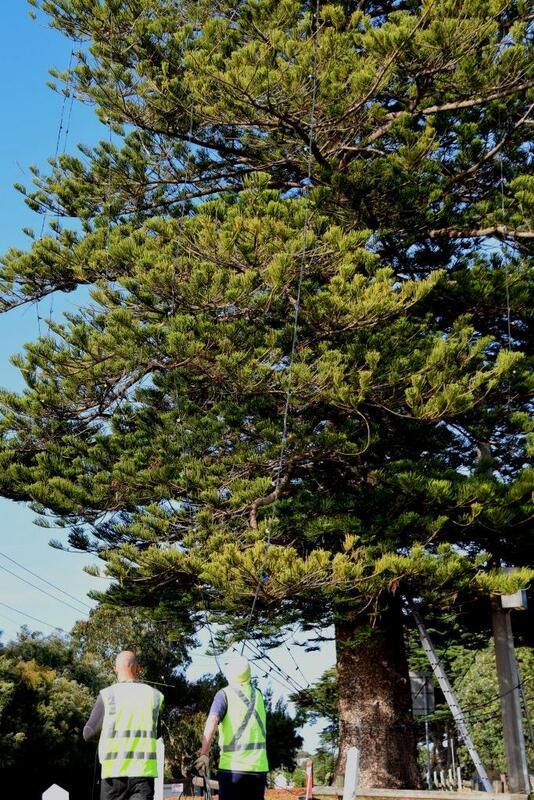 Strange fruit on the Point Lonsdale Christmas Tree? The Christmas Tree lights are down again but not soon enough - the flock of corellas that swept into town in the past week took a liking to the globes and leads and there is substantial damage to be repaired before next year's light up. Perhaps the corellas think the globes are fruit? Pictured are some of the damaged globes and fittings together with a telltale feather from the culprits. 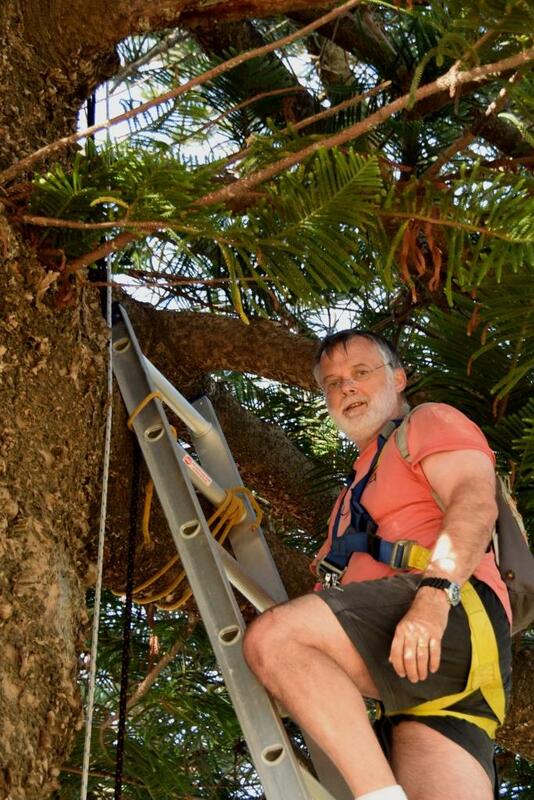 The lighting of the Christmas Tree (a 40m Norfolk Island pine) is a community project auspiced by our club and supported by local Lions and community members. At the club's joint Christmas celebration with Drysdale RC, Karen Pecar was presented with the Royce Abbey Award for her work with RYDA, drafting the new club constitution and child and vulnerable person protection policy, role as electronic media director including producing a club video, design for the rotunda project and supporting club activities. 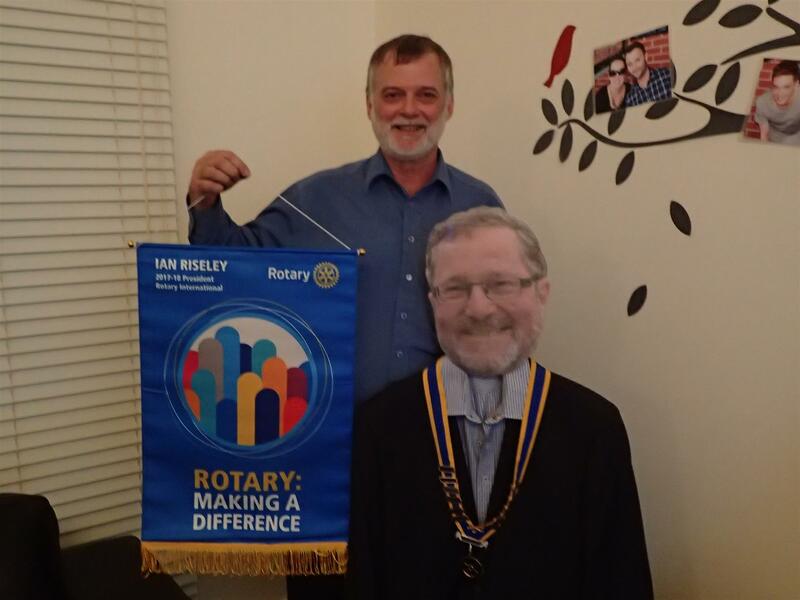 The Royce Abbey Award is given to a member who is relatively new to the club and who has demonstrated enthusiasm and commitment to the ideals of Rotary. Pictured are Roger Leask from Essendon RC who presented the award and Wayne and Karen Pecar from Queenscliffe RC. Past District Governor Jane Cox presented the club with a Membership Development Award for achieving the highest member retention rate in District 9780 over the past 3 years. The club also received a certificate from The Rotary Foundation recognising its donation of US$226 (the goal is US$100) per capita so the Foundation can continue doing good in the world. Well done us! 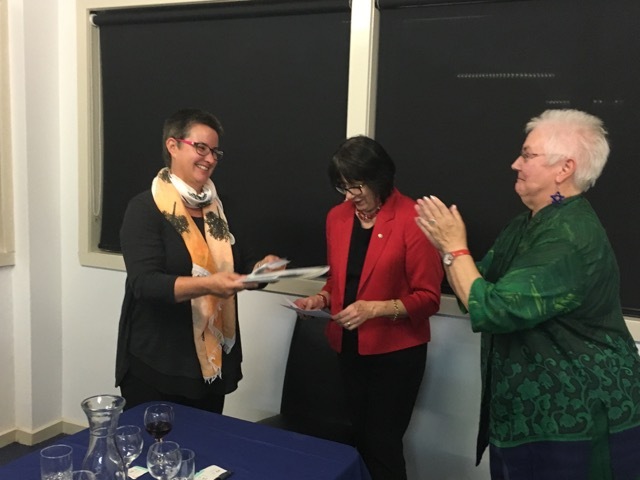 Fay Agterhuis receives a Paul Harris Fellow from club president Wayne Pecar in recognition of her considerable volunteer work in the Borough of Queenscliff. 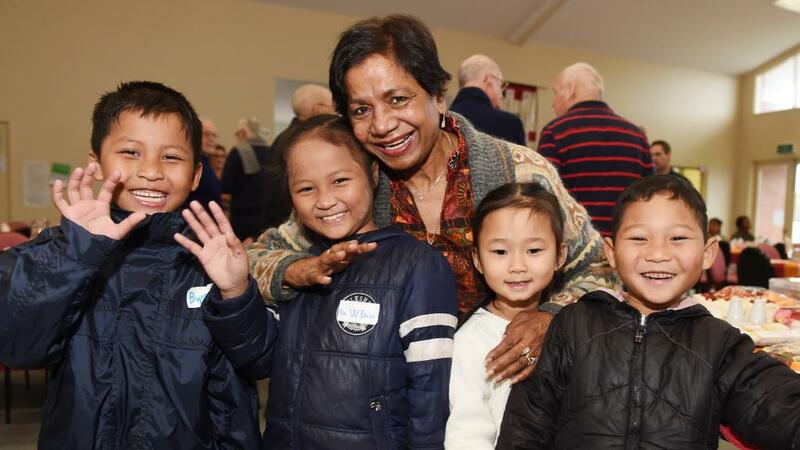 In particular, “Mrs A” has been a significant supporter of our club and provided invaluable assistance (as well as legendary chilli con carne) at our Queenscliffe Bricks LEGO exhibitions, at our Drug Awareness Forum and through leadership of the Point Lonsdale Christmas Tree Committee. The topic for this year's essay competition was "Do you think children spend too much time playing on electronic devices such as ipads, computers or game boxes?" Many well written entries were received from students at St Aloysius, Queenscliff and Point Lonsdale Primary Schools. The winner, with a very well researched essay, was Livia Mantelli. Runner up was Angelica Daniels and Erina Moore received the Encouragement Award. 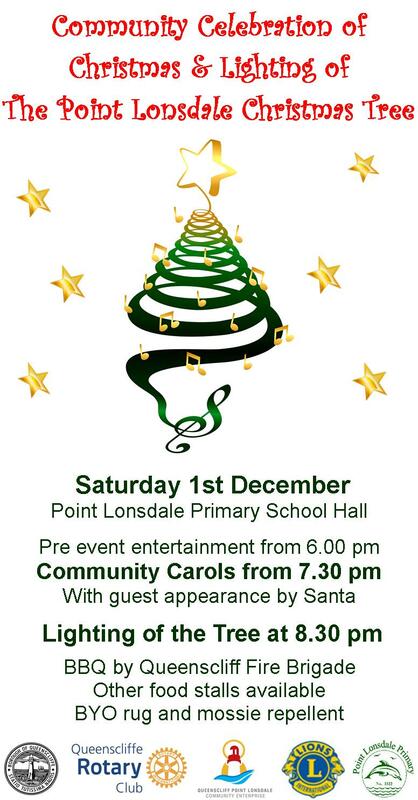 All three girls attend Point Lonsdale Primary School. Pictured are president Wayne Pecar, Livia Mantelli, Angelica Daniels and competition organiser Marianne Deacon. 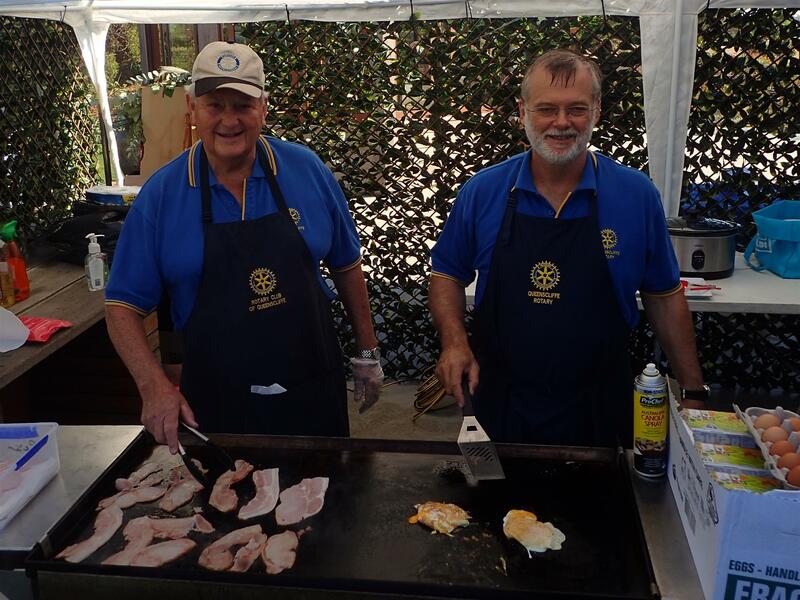 On 11 August Queenscliffe Rotary Club brought RYDA (Rotary Youth Driver Awareness) to Geelong for the first time. The focus of the award winning program is "My life. My choices" and students were challenged to evaluate their decisions as drivers and passengers. 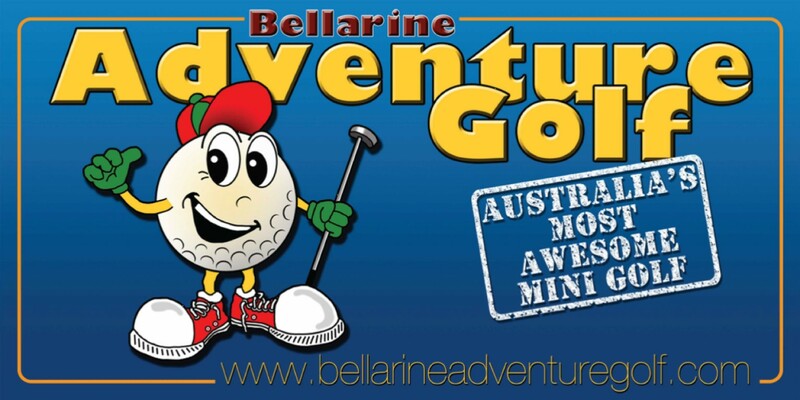 Students from Bellarine Secondary College, Geelong Lutheran College, North Geelong Secondary College, St Josephs College and Western Heights College, joined the over 450,000 students in Australia and New Zealand who have participated in the program. 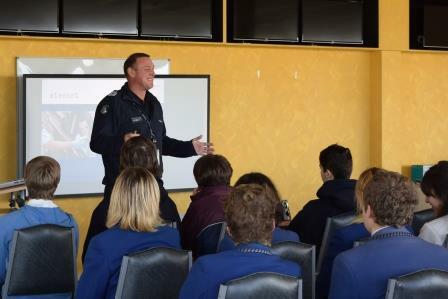 Pictured is Snr Sgt Tony Francis speaking to students about rights and responsibilities. 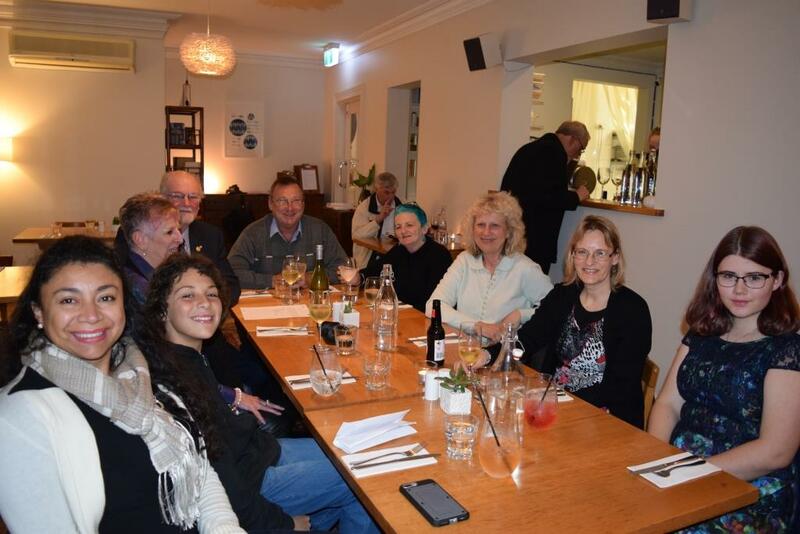 Rotarians, partners and friends celebrated another successful year on July 9th at Athelstane in Queenscliff. Projects the Club has supported in the past year include: a new response vehicle for Queenscliff CFA, a surfing weekend for refugees, picnic tables for Point Lonsdale and Queenscliff Primary Schools, a drug awareness forum, lighting the Point Lonsdale Christmas Tree, Rotary Bowelscan, books for newborns, literacy awards for primary students, sending an exchange student to Denmark, Udalo School in the Philippines, Vietnam autism project, Fiji tsunami appeal and the RYDA road safety program. Pictured are ongoing President Wayne Pecar and Assistant District Governor Kathy Ryan standing in front of our new promotional display. 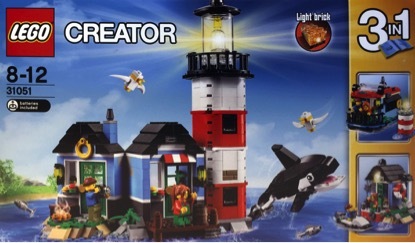 Almost 1300 people were amazed by the imaginative and detailed creations from members of Melbourne LEGO User Group. The display was opened by Hon. Lisa Neville MP, Member for Bellarine and Minister for Police & Water. 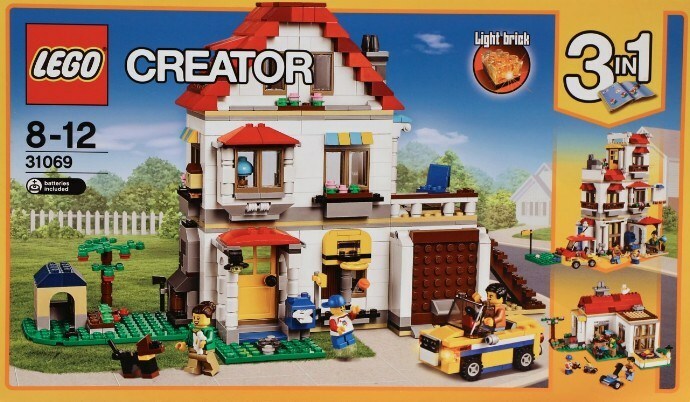 Hundreds of children spent many happy hours creating in the LEGO play area and at the colouring competition provided by Ocean Grove Supertoys/Dizzy Toys, who also ran their popular retail area. A special thank you to all who participated. 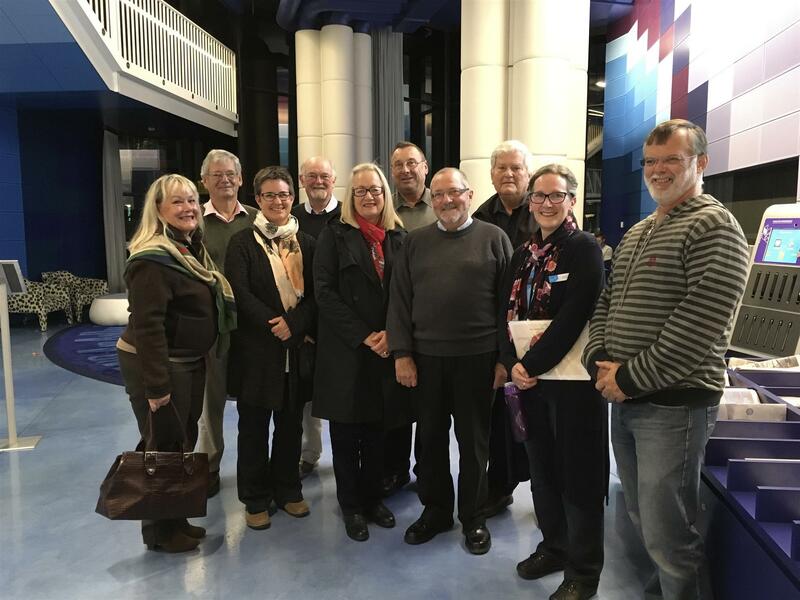 Our meeting on 9 May 2016 was changed to a guided tour of the new Geelong Library; thank you Dana from the Library and Rotarian Rod Stewart for arranging the tour. On five levels, the library is state of the art with a vast collection of books, music, magazines, movies, audiobooks, ebooks, heritage and more. The Geelong Library & Heritage Centre (the Dome) is designed to be an inspiring, multipurpose space. Tthe centre will be many things to many different people: a place to meet and socialise; to read and study; to attend events; and use new technologies. Each level is unique with gathering places, reading spaces, the latest technology, spectacular collections, children's and youth hubs, function zones, and more. 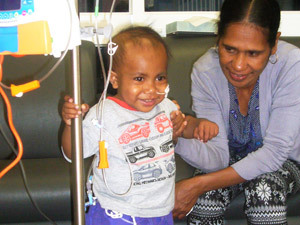 Part of our local literacy program is the provision of books for newborns in the Borough of Queenscliffe. We have been doing this for several years and well over 200 books have been handed out over this time. 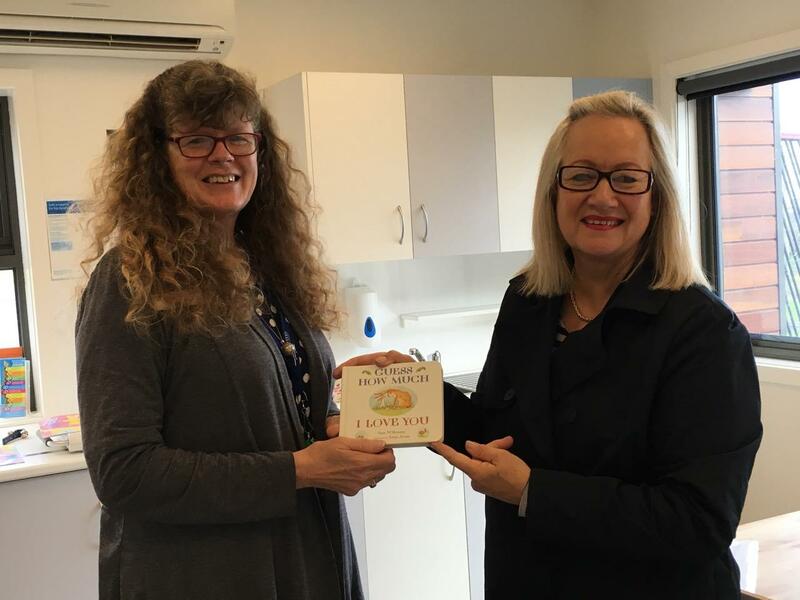 Seen in the photo is Rotarian Marianne Deacon (at right) providing a new supply of books to Jackie Petersen, nurse at the Queenscliff Maternal Child & Health Centre. 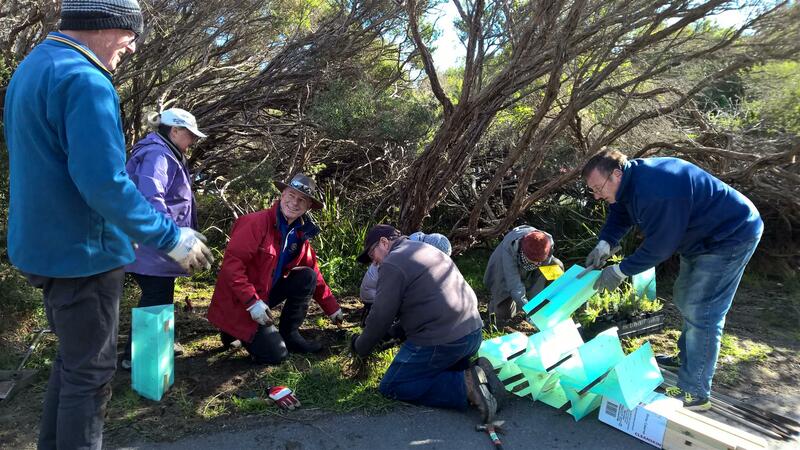 The Rotary rotunda in Queenscliff (opposite the Harbour Tower) received a facelift on Saturday 7 May as a hardy band of volunteers from the Rotary Club of Queenscliffe gave the structure a new coat of paint. This followed new cement sheeting being installed in recent weeks by President Wayne and Rotarian Alan. Future works include new seating in the rotunda and information boards, currently under concept design, for visitors. 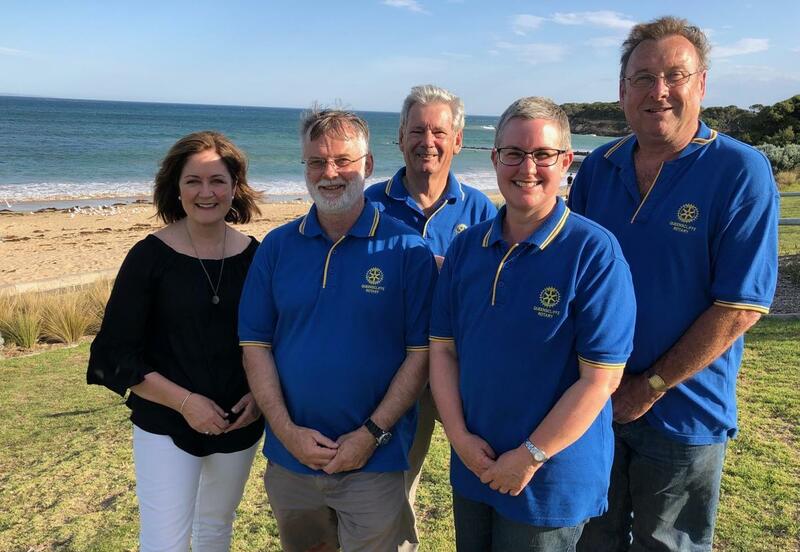 Seen in the photo are Rotarians Alan Joyce, Karen Pecar, Kevin Carey and Rob Iser, whilst behind the camera was Wayne Pecar. 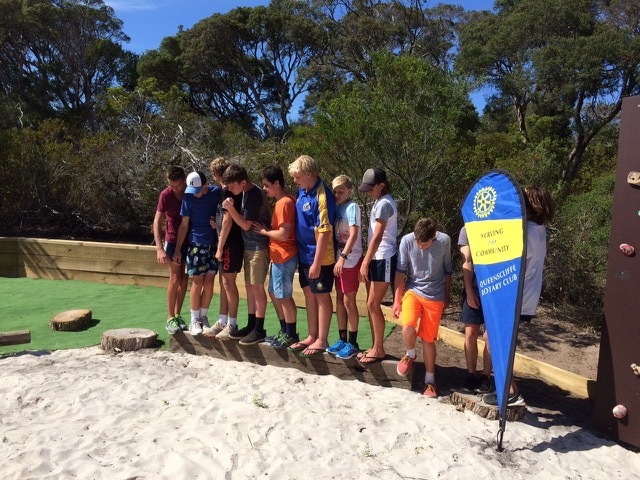 The Rotary Club of Queenscliffe, supported by a grant from our Rotary District 9780, has provided significant funding to YMCA's Camp Wyuna at Queenscliffe. The funding was for the construction of an adventure challenge course that will both be fun and help develop leadership skills. Seen are Year 9 students testing out the course. 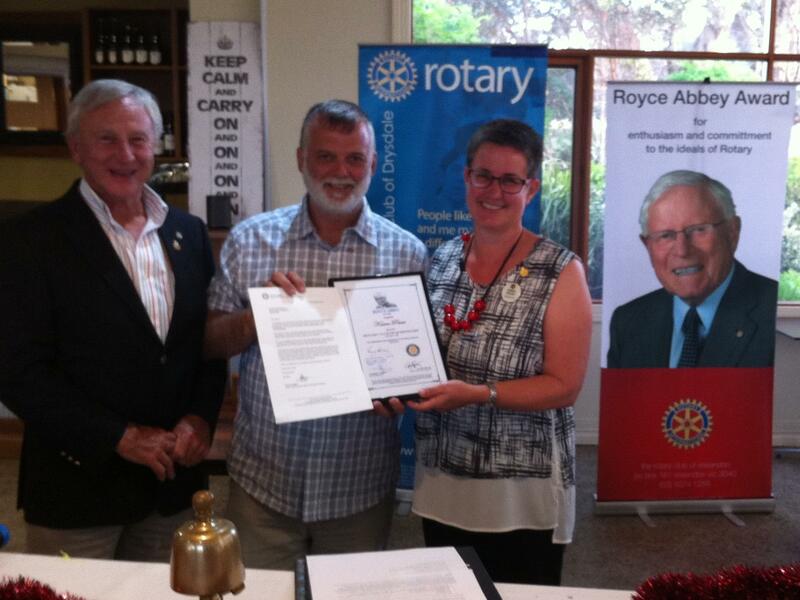 The Club is pleased have inducted our newest member, Karen Pecar, who has been "a friend of Rotary" for a long time. 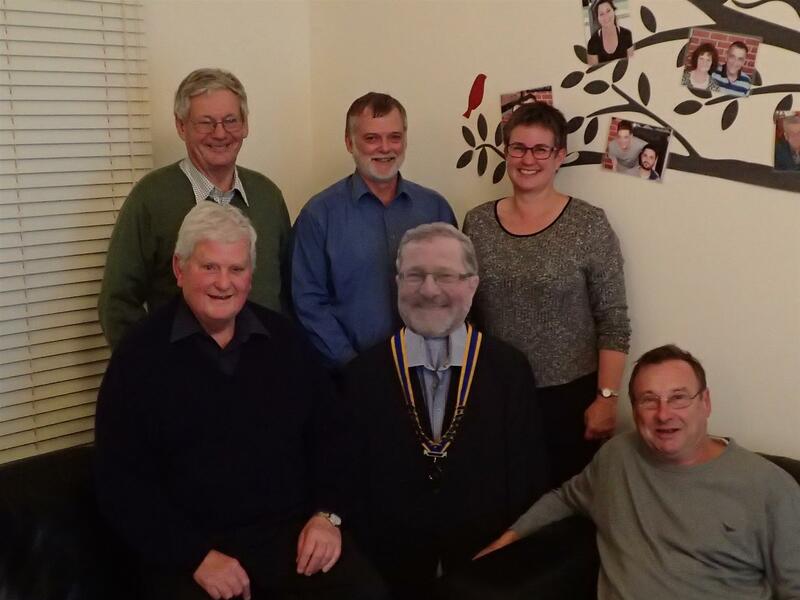 The induction took place at our dinner meeting on Monday 21 March. We were doubly delighted to have officiating District Governor Jane Cox and Assistant Governor Kathy Ryan, both "fresh" from the District Conference held in Geelong over the previous three days. 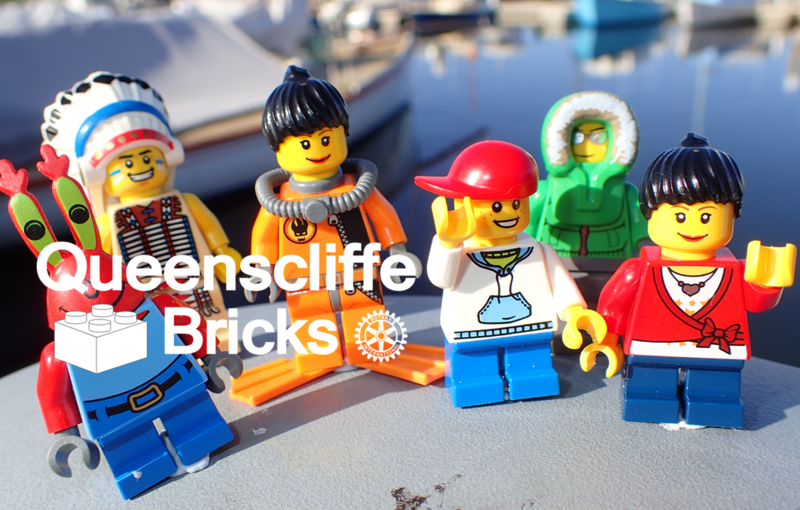 It is less than 11 weeks until the 2016 edition of the ever popular LEGO® fans display 'Queenscliffe Bricks'. New displays each year are a highlight and are provided by the Melbourne LEGO User Group. 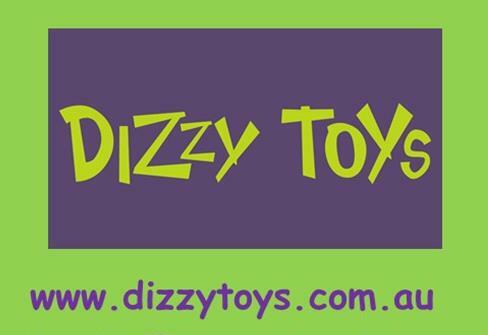 The retail and free play areas are provided by Ocean Grove Supertoys. 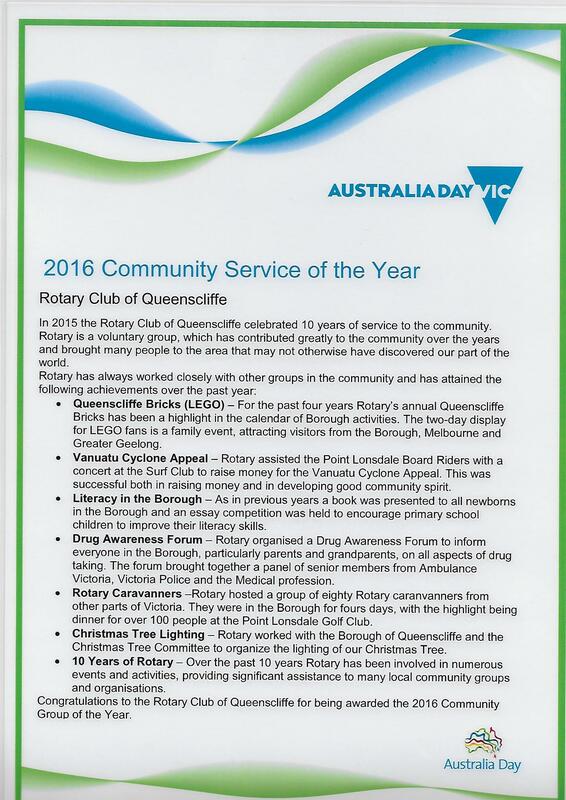 The Borough of Queenscliffe has awarded the Rotary Club of Queenscliffe the 2016 Community Group of the Year. 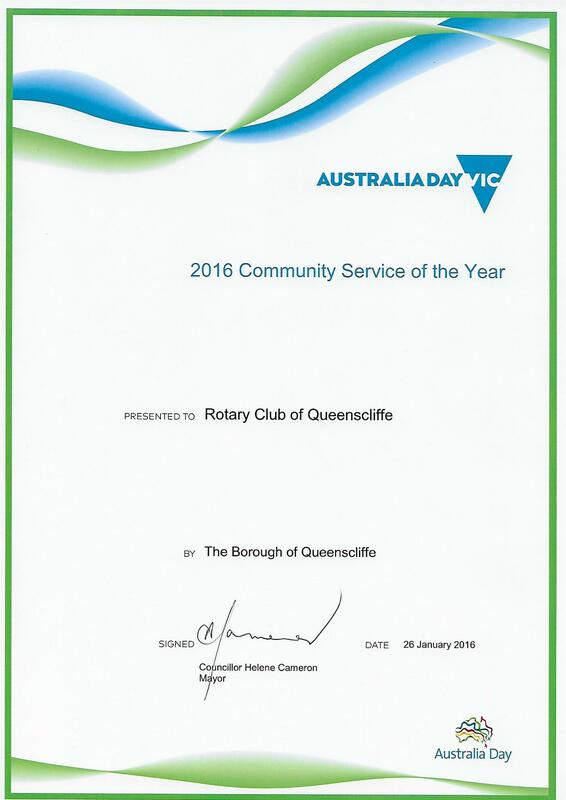 Announced at the Australia Day Awards ceremony at Queenscliff Town Hall, the citation (below) details some of the projects and events that the Club was responsible for over the past year. 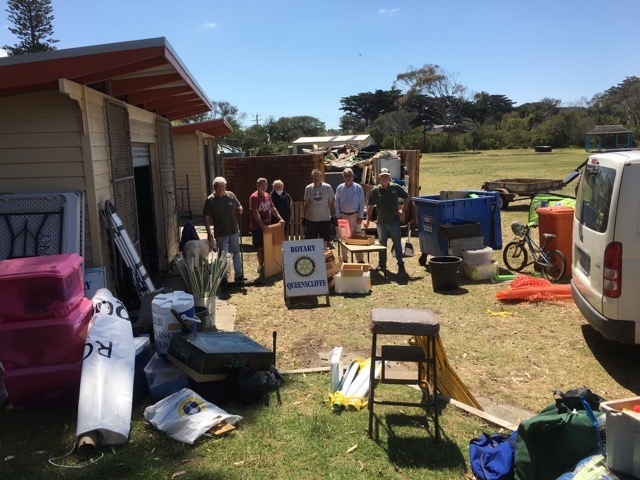 Queenscliffe Rotarians shouldered arms, brooms and a pressure sprayer and cleaned out the storage sheds at the local Point Lonsdale Primary School. A large skip was filled as an assortment of old and broken furniture and fittings (and junk) were sorted and tossed. One person's junk is another one's treasure, and off to the tip the skip went for further sorting of recyclables. 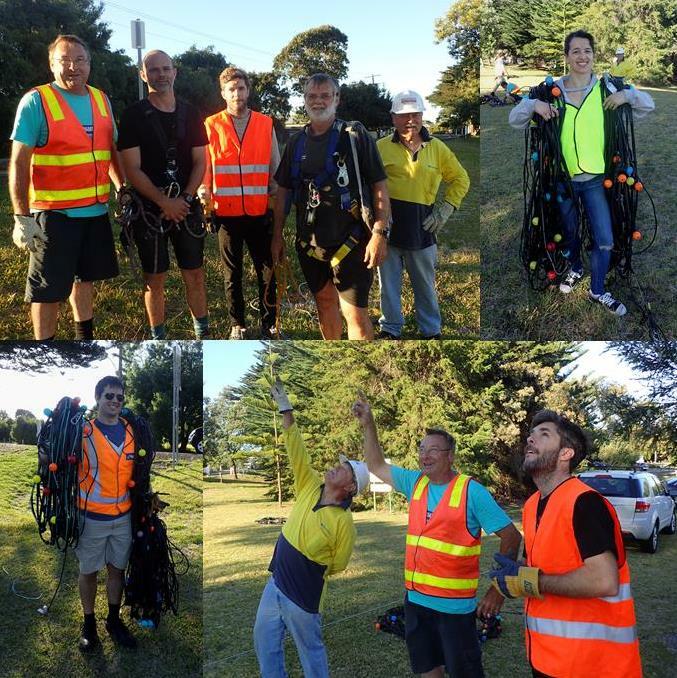 Well done to Rod, Wayne, Jenny, Alan, Rob & Kevin for the hours and effort they put into this major cleanup. The recent Rotary - organised Drug Awareness Forum was attended by some 40 people from the local community. Whilst the numbers were down on expectation, possibly due in major part to local demographics, the number and depth of questions more accurately reflected the interest in this concerning subject. Dr Simon Horne from Point Lonsdale Medical Group, Matthew Ponsford from Ambulance Victoria and Senior Sergeant Tony Francis from Victoria Police provided insights and details on, not only the alarming increase in damaging recreational drugs, but the widespread abuse of prescription drugs. Q&A went on for some time after the presentations and attendees were then also able to have one-on-one discussions with the presenters over afternoon tea. The Rotary Club of Queenscliffe would like to reiterate our thanks to the speakers, Point Lonsdale Primary School for the use of the school hall and facilities and to the people attending. RQ has donated two 'shelter boxes' for use in disaster situations. 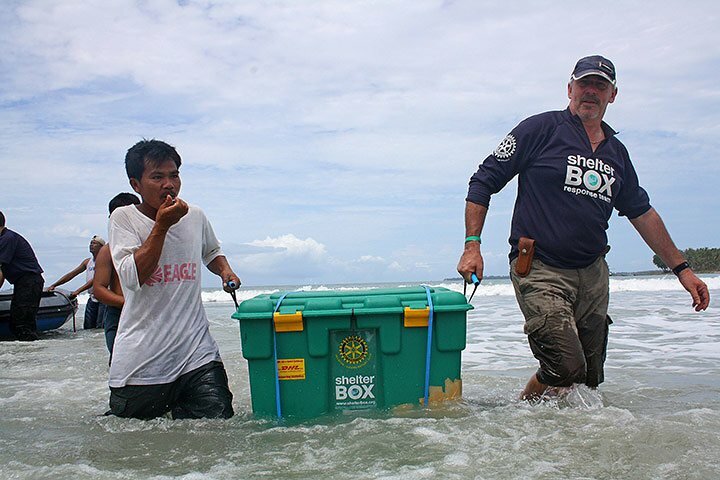 ShelterBox Australia instantly responds to earthquake, flood, hurricane, cyclone, tsunami or conflict by delivering boxes of aid. Each box supplies an extended family with a tent and lifesaving equipment to use while they are displaced or homeless. 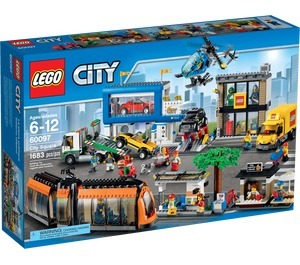 The contents are robust and tailored depending on the nature and location of the disaster. The cost of a box is $1,000 including delivery direct to those who need it. Following an appeal from the Rotary Club of Monrovia, Liberia, the Rotary Club of Queenscliffe donated US$2,000 to the fight to contain ebola. 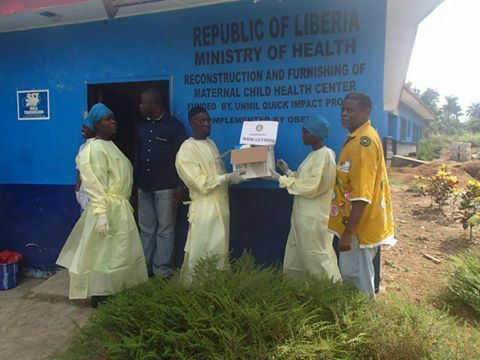 The Rotary Club of Monrovia is working directly with the Ministry of Health and Social Welfare in Liberia to enhance local support for Ebola patients, health workers, and support personnel. Rotarians are soliciting funds to buy locally available items, providing much needed transportation, tracking potential Ebola cases, and supporting the reintegration of those who have recovered from the virus. Funding for the Monrovia project will also be used for local vehicle repair, fuel, medicine, mattresses, buckets, and other supplies. The Monrovia club has also asked for donations of gowns, gloves, face masks, shoe covers, plastic boots, and, sadly, bodybags. We held our Changeover dinner on the evening of Wednesday 24 June. It was a combined function coinciding with our 10th Anniversary. The dinner was held at the Vue Grand Hotel in Queenscliffe, the venue of our inauguration on 29 June 2005. 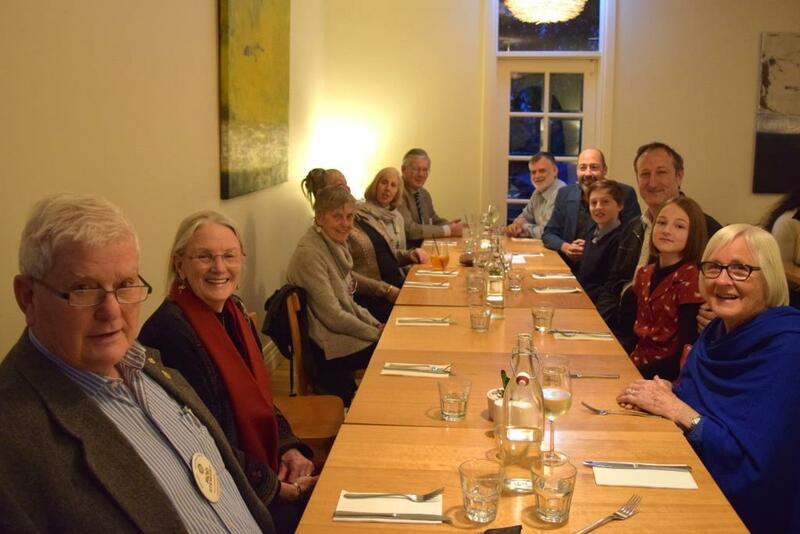 The Club was privileged to have as speakers Geoff James, District Governor and his wife Meryl, Jane Cox, District Governor Elect and Cathy Roth, Past District Governor. Partners, Rotarians from other Clubs and friends of Rotary also attended the evening. 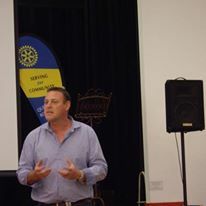 Incoming Club President Wayne Pecar entertained the audience with a Powerpoint presentation on the achievements of the Club over its 10 years. A booklet was also handed out covering the period with annual reviews by Past Presidents and with photos of some key events and projects. 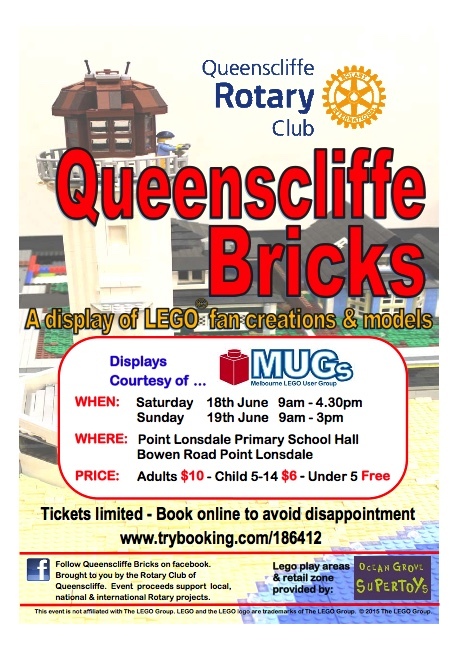 The Rotary Club of Queenscliffe’s major fundraiser, the ‘Queenscliffe Bricks’ LEGO Fans Display opened on Saturday 20 June in Point Lonsdale. 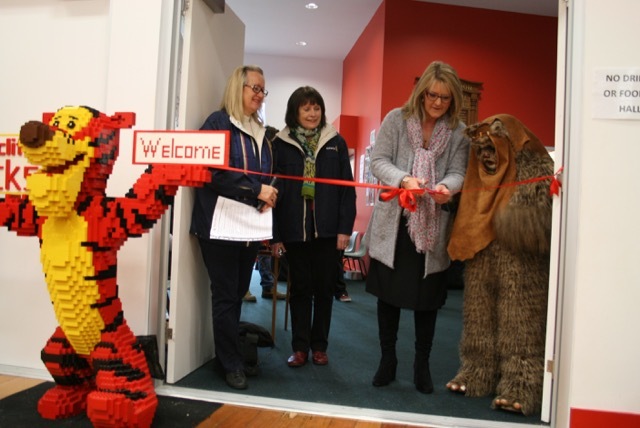 Officiating at the opening were Cr Helene Cameron, Mayor of Queenscliffe, Jane Cox, DGE District 9780, Marianne Deacon, Chair of the Organising Committee and an Ewok. 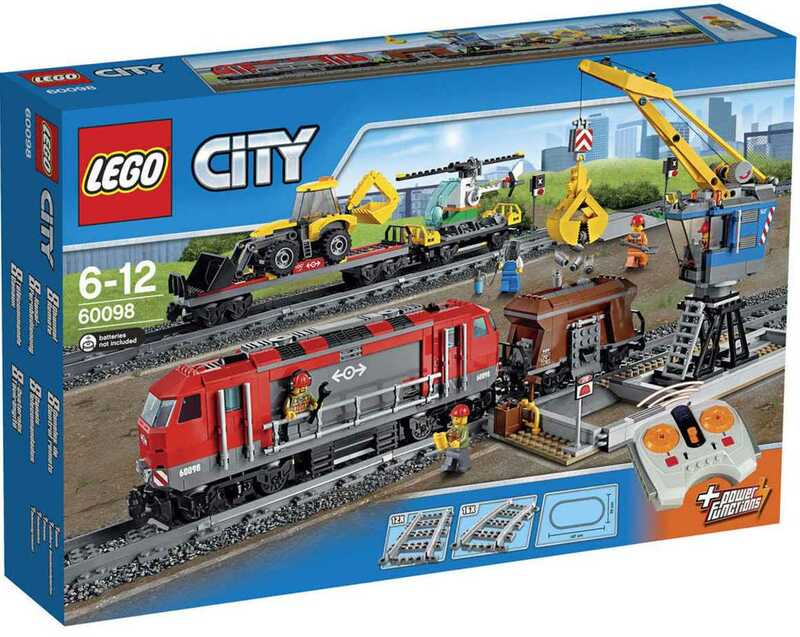 The exhibits are provided by the Melbourne LEGO User Group (MUGs) and this year total over 100 LEGO constructs from 34 exhibitors. 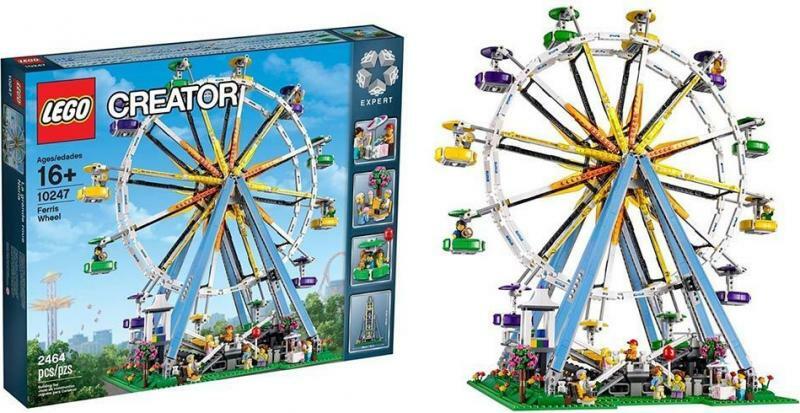 The biggest is a mosaic of the Melbourne Exhibition Building which has 170,540 LEGO pieces. 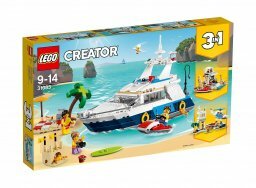 There are massive train sets, castles, Star Wars space ships, a large replica of HMAS Adelaide, a LEGO Rubic’s cube solver, the Sydney Opera House and many more.